"In marital relations, polygamy was prevalent, and marriage between close relatives such as cousins, half-brothers and sisters, aunts and uncles was common. Even today marriages between cousins is accepted. Japan, as noted above, originally appears to have been a matriarchal or, at least, a matrilineal society. The mythical founding deity of the imperial clan was the Sun Goddess, and the ruler was a woman, Pimiku. Until the late-eighth century the imperial throne was frequently occupied by female members of the imperial family. This practice persisted even after the samurai class became dominant and imposed a stringent masculine orientation in society. Even in the Tokugawa period (1603 to1868 AD) two of the occupants of the imperial throne were women. "In the Heian period husband and wife lived apart and the children remained with the mother's family. The husband was not an immediate member of the household; he came virtually as a visitor. The head of the family was thus a woman. This situation began to change as the samurai class became the dominant political-social force. In the twelfth century husband and wife began to live together, and the patriarchal system became stronger. The Confucian philosophy reinforced the patriarchal, male-dominant character of Japanese society. "This is reflected in The Tale of Genii. The author, Lady Murasaki, has the hero Prince Genji conclude: 'women were creatures of sin. He wanted to be done with them.' Women came to be regarded as incapable of mastering the difficult Chinese writing system and were expected to rely on the simpler phonetic system (kana) that was formulated in the Heian period. However, remnants of the matriarchal practice did not disappear completely. When a family had only daughters, the oldest daughter took a husband into the family, and the latter adopted the wife's family name. 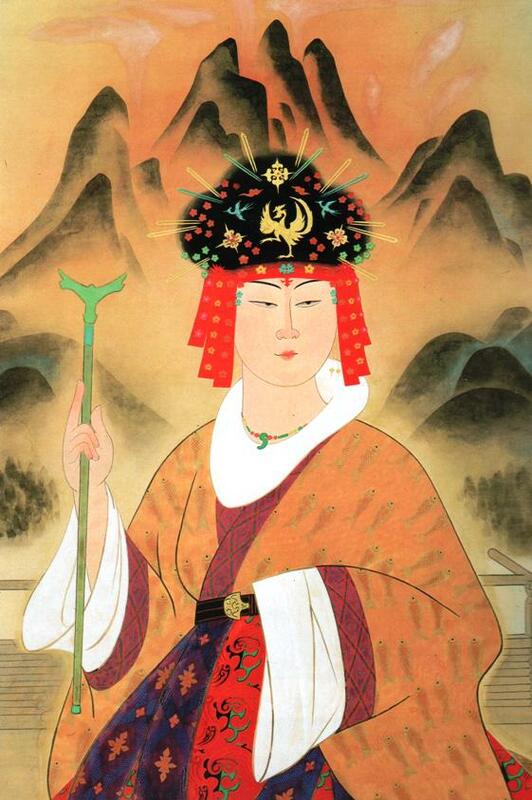 The significant role that women played in the cultural realm is seen in the many creative writers of the Heian period."